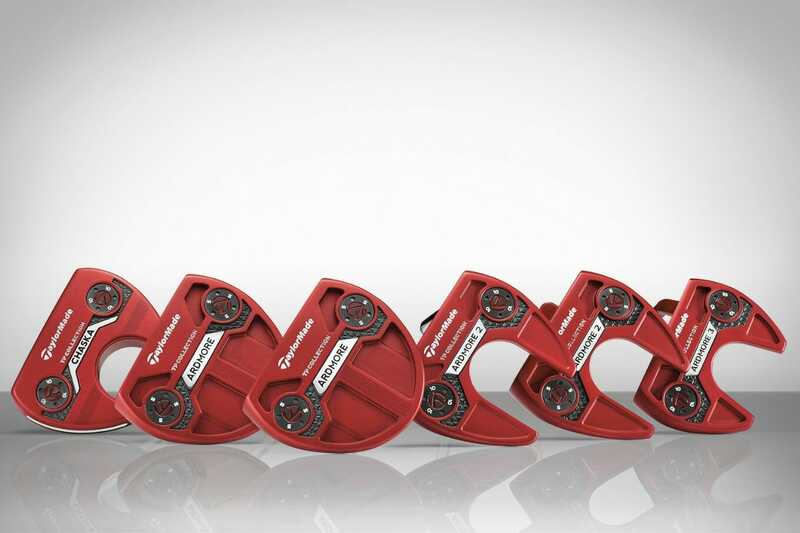 TaylorMade Golf Company have announced the expansion of the TP Collection of putters with the introduction of TP Red. Comprised of 6 performance mallet models, the new collection has been designed for the discerning player who seeks the performance of TaylorMade’s Pure Roll technology in an aesthetically appealing Tour Red colourway that the company became the first to roll out in 2016. 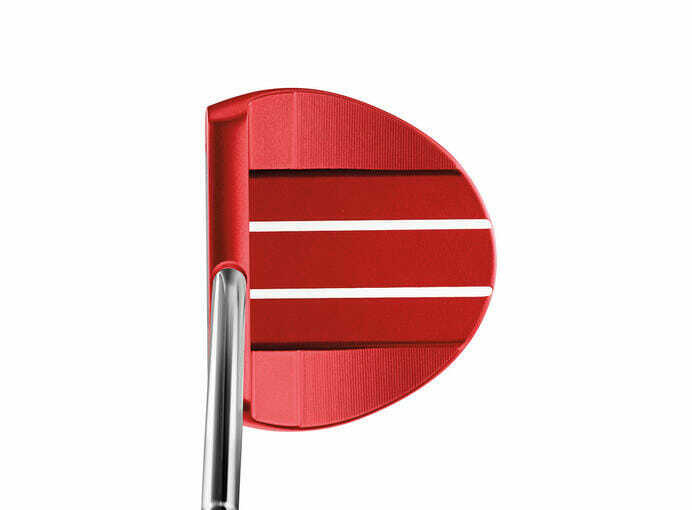 Since then, the Tour Red colourway has seen its demand grow exponentially across global tours following the success of TaylorMade staffers Jason Day, Jon Rahm and Sergio Garcia. The TP Red Collection is comprised of five new variations of the Ardmore putter as well as the Chaska model. 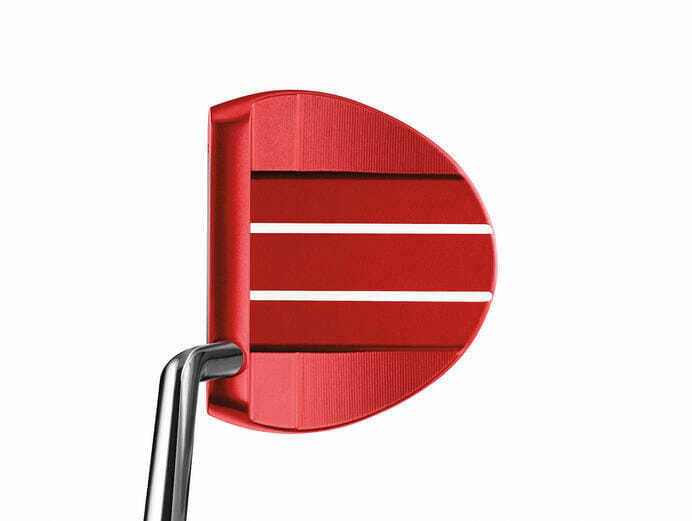 Each of the six new models feature milled 304 stainless steel heads with Tour Red finish for a premium look and feel with high-contrast colouring and a variety of sightline options to promote improved alignment. 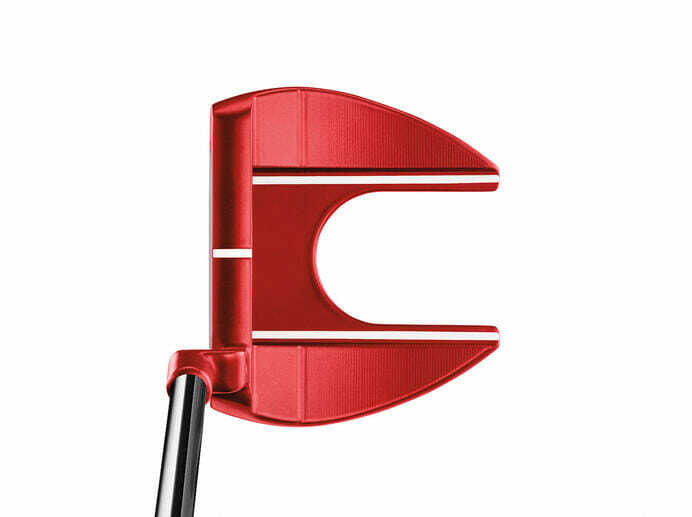 A face-balanced mallet designed with dual sightlines for a linear stroke and easy alignment. 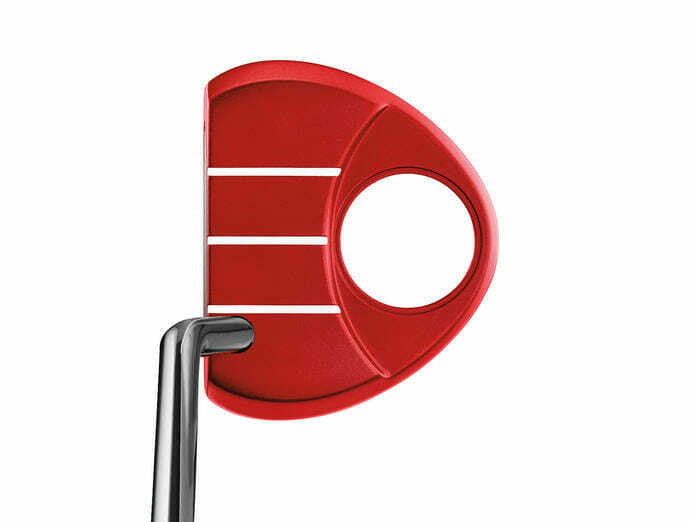 A centre-shafted, face-balanced mallet designed to emphasize perfectly centred alignment. A progressive mallet designed with single top, double cavity sightlines and 27° toe hang for a flowing stroke and enhanced alignment. A progressive, face-balanced mallet featuring single top, double cavity sightlines for a straight back, straight through stroke and enhanced alignment. A progressive mid-size mallet incorporating 40° toe hang for a flowing stroke and simple alignment. A larger, face-balanced, semi-rounded mallet with three top sightlines to encourage a confident stroke. 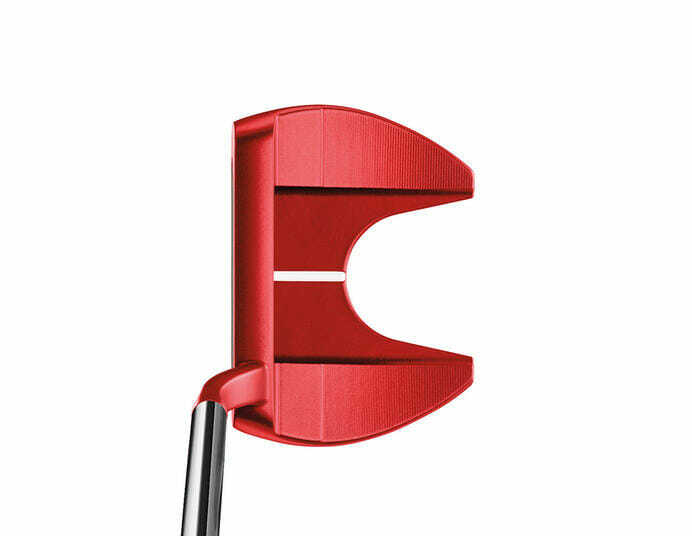 Justin Rose, who first saw the putter at a company photoshoot earlier this month, put the Chaska into play the following week at the BMW Championship, where he finished T2 and recorded a remarkable strokes gained putting stat of 2.393. Each putter in the TP Red Collection has a head weight of 355g, a 3.5° loft, a 70° lie angle and comes available in 34” & 35’’ lengths. Each model in the collection also features interchangeable sole weights to enable the adjustment of mass for optimal performance. Similar to the original TP Collection, each new model utilises a new milling process along with TaylorMade’s proprietary Pure Roll insert to deliver optimal forward roll with a desired firm feel. The 6061 aluminum Pure Roll insert combines 45° grooves with a softer polymer between the grooves to promote better forward roll and reduce skidding across varying surfaces. The composition and construction of the Pure Roll insert is specially engineered to bring the grooves into direct and active contact with the ball during impact, even on short putts. The grooves in the face also serve in part to strategically soften the insert’s structure. Together, these factors make the insert perform at a very high level. Currently, Jon Rahm, Jason Day, Rory McIlroy and Justin Rose all play putters incorporating Pure Roll technology. The TP Red Collection will be available at retail 16th October. Each putter in the collection comes equipped stock with a Super Stroke Pistol GTR 1.0 grip at an MSRP of €289.